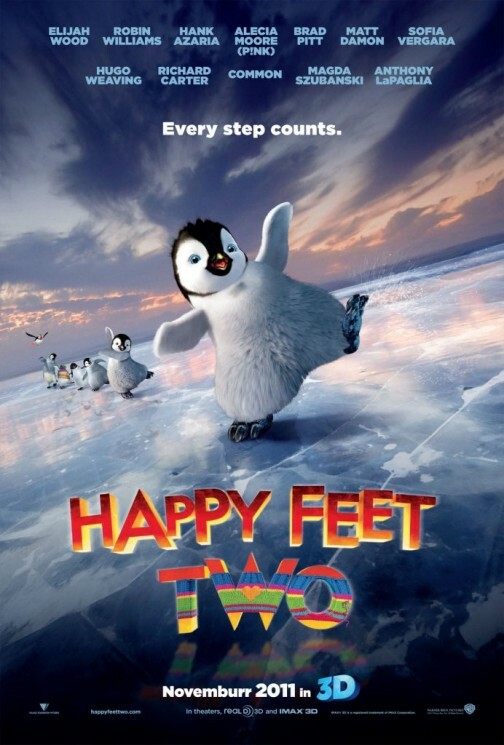 You and a guest are invited to a special advance screening of Happy Feet 2 on Saturday, Nov. 12 at 10 AM in Sandy, UT. To get your passes, simply click here. You will taken over to ticketing site Gofobo. Registration is necessary, but is completely free and comes with the additional benefit of receiving email invites to other advance screenings in the future. Having a printed pass does not ensure admittance to a screening. Because the studio wants the theater to fill, more passes are given out that the theater can accommodate. The screening will sell out, so be sure to arrive extra early to exchange your passes for actual tickets. Contact the theater to find out exactly when they will begin exchanging passes. Thanks for getting your passes from The Reel Place and we look forward to seeing you there!